8 Top Tips To Get Smoother Arms And Underarms! Our Indian climate pretty much mandates the sleeveless code. Don’t be coerced into hiding your arms because of uneven skin tone, an awful tan or fuzz. Dare to bare your arms with these tips which will leave you with silky smooth and flawless arms (and underarms). 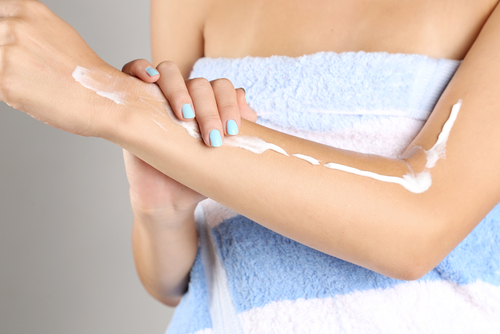 Exfoliation is the key to buffed, even-toned and smooth skin, and this applies to your arms and underarms as well. Make sure you buff your skin using a gentle exfoliator at least twice a week if not more. This will ensure that your moisturizer is absorbed well and makes the skin smooth to touch. Pick an exfoliator for your skin type and make sure the beads aren’t too big as that can be a bit too abrasive for your skin’s liking. Skin needs to be moisturized regardless of the body part and the season. Dry skin is prone to looking dull and patchy, therefore it is crucial that your arms and underarms be moisturized after every shower to ensure that they look polished and hydrated. Pick a light moisturizer for the summers if you detest the feel of cream on your skin, but ensure that you never ever skip moisturizing after a shower. Alternatively, you can try wash-off lotions, which are moisturizers that you slather on after your shower, let sit for a few minutes and wash off. Antiperspirants aren’t too good for your skin or even health. If it is hot outside, your body is meant to sweat to regulate its temperature. By stopping that process with the use of antiperspirants, you are essentially interfering with your body’s temperature regulating mechanism. They also tend to darken skin over time so it’s best that they are given a miss. Stick to a regular deodorant and frequent showers. Also read: Go Hair-Free At Home: Hair Removal Products That Actually Work! It’s always a good time to give laser hair removal a shot. With the weather in your favour to bare your skin, remaining fuzz-free is an essential. The hassles of shaving and waxing and the side effects of hair removal creams can be ended with a laser treatment. A few sessions give you good results and it saves you an insane amount of time which would have otherwise been spent on upkeep.This way your wardrobe doesn’t have to depend on your waxing schedule, and you can go sleeveless whenever you please. 5. Protection Is Better Than Damage Control! Never ever skip sunscreen and always use one that is at least an SPF30. Very often, we use sunscreen on our face and skip the rest of the body. As a thumb rule, use a sunscreen regardless of where you are or what you’re wearing. Opt for light gel-based or spray-based formulae to avoid stickiness. Remember it is easier to protect yourself now than to struggle with tan removal later on. Opt for light, natural fabrics as they tend to be gentler on the skin, absorb sweat better, keep you cooler and don’t cause irritation around your underarms due to friction. 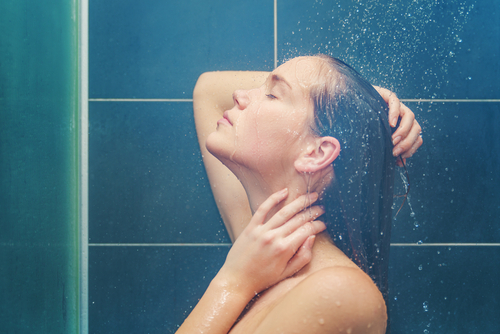 Regulate your body temperature with regular showers to make sure that your arms and underarms stay cool. Heat and friction together can wreck havoc on your skin, causing acne, rash and even pigmentation. Keeping the skin cool and pores tight with cold showers can be immensely helpful in maintaining smooth, flawless, even-toned skin.